MEGALINEAR open length timing belts are manufactured in thermoplastic polyurethane, giving superior wear and abrasion resistance. Various grades of steel cords offer good running characteristics, even with high tractive efforts. Manufactured to tight tolerances, MEGALINEAR delivers reliability and excellent dimensional stability. 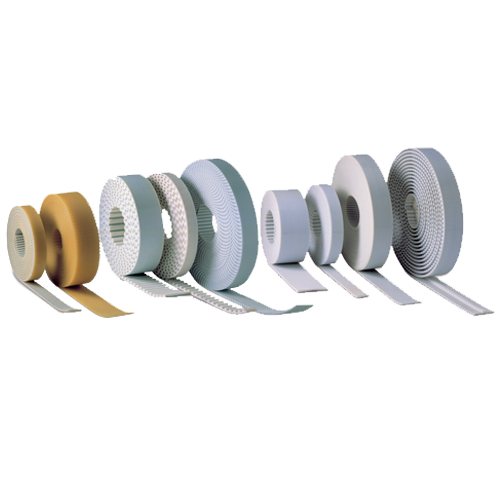 The addition of a nylon coating on the teeth and/or on the back of the belt during production enhances the running properties for specific applications. An extra thickness of polyurethane is also available on the back of the belt, offering extra protection against aggressive or heavy products. 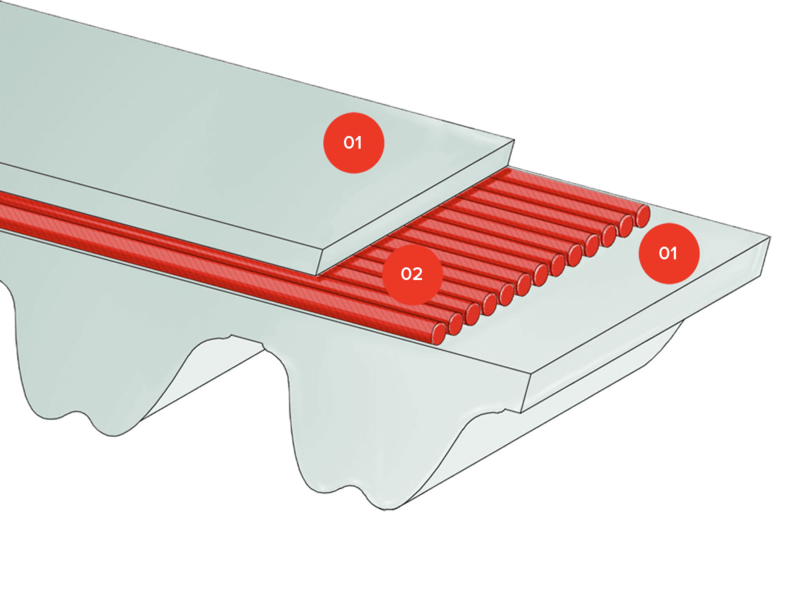 MEGALINEAR is compatible for fabrication with other thermoplastic materials. Normally used in linear motion drives, it can be supplied as open end rolls or as endless jointed belts. High strength S and Z parallel zinc coated steel tension members allow high breaking loads and extremely low elongation.